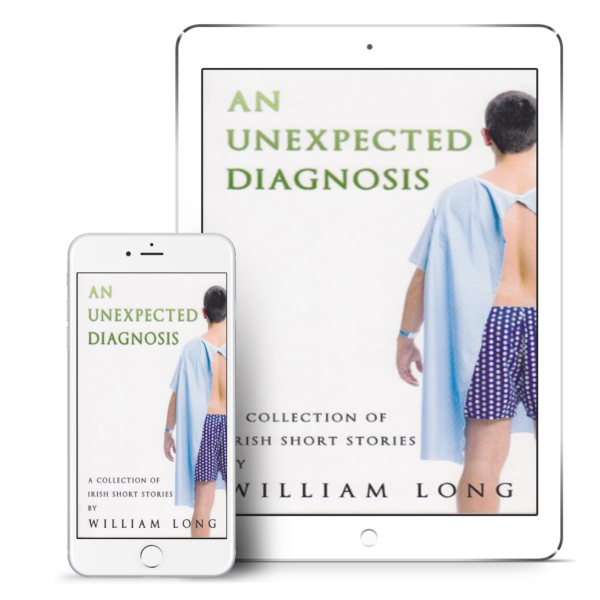 An Unexpected Diagnosis is the title and lead story of the author's personal encounter with cancer. Although faced with a life-changing situation, he tells it with some humour and an appreciation of how important it is to deal with this deadly disease in the early days of diagnosis. Ebook only. The sad but very funny story 'Charlie Died Yesterday' describes a day when a couple break up and Paul loses his dog in a tragic accident. A modern fairy tale 'The Old Woman's Promise' where nothing is as it seems, when a man seeks a cure for his affliction. As the stories unfold in this captivating collection of Irish short stories the reader is presented with twists and turns in every tale, each one leading to an unexpected end. Praise from members of the medical staff led to it being included with the other fictional stories in this engaging collection. ... a fascinating read from the patient's point of view.